In An Intellectual Property Dispute? Call a Patent Attorney Orlando Locals! 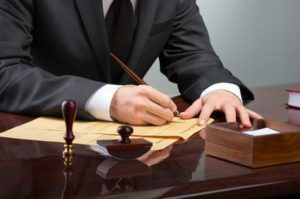 This law office has provided its clients with effective representation and counseling in connection with the protection of trade secrets, proprietary and confidential information, licensing agreements and restrictive covenants, trademarks and related intellectual property rights. As a seasoned patent attorney Orlando business owners can feel comfort in knowing that their case will be handled professionally. Confidentiality Agreements: in the event that employees leave your business or when two businesses require a confidentiality agreement when discussing sensitive information as it pertains to a business, these documents ensure that this private and sensitive information does not reach anyone outside of the parties included in the agreement. Non-disclosure/confidentiality agreements are recommended to be utilized any time you are serious about commercially pursuing an idea or sharing confidential information in regards to a business. Trademarks: this is a word, words or a symbol that is legally registered or established by use and utilized to represent a product or a company. We offer a full range of trademark services to entrepreneurs or established businesses. We can assist clients no matter where they may reside in the world in regards to their trademark needs. Law Office of Frederic E. Waczewski, P.A. helps our clients with items such as trademark registration and enforcement. Contact A Patent Attorney Orlando Residents! When you need an experienced intellectual property and patent attorney Orlando is home to the Law Office of Frederic. E Waczewski, P.A. Contact us right away to schedule your initial consultation.